The world of politics in the Dominican Republic is one which is overrun with blatant corruption. Where knowing the Head of State will secure your finances as long as they are in office. Where being appointed to a government position has nothing to do with your experience or educational background but rather who you know and who you are friends with. Where there has been more constitutions, thirty-eight in total, than any other country, an indicator of the political instability. Where people are murdered for trying to expose the truth or change the system. Where political events rarely receive international attention. And now where the country is gearing up for an exciting presidential election this May. Political discussions in the Dominican Republic sound nothing like those here in the United States. Rarely do they consist of whose policies are better, but instead they focus on who will feed the family more. In the campos, the rural countryside towns, it is a long-standing practice for a campaigner to go and hand out money, bags of rice and liquor to those in need in order to secure a vote. In the capital it consists more of which candidate a family has connections to, because those connections will lead to paychecks. In the Dominican Republic a person can go from living on a dirt floor to living in a huge mansion all based on who they know in the government. But Dominican voters also make it no secret that they are tired of the corruption dominating their country. Democracy is still very new to this small Caribbean nation. A democracy which political scientists would call a ‘soft democracy’ meaning still very vulnerable and new. The early 1900s saw US occupation in the Dominican Republic. In 1930 began the rise of the ruthless, brutal dictator Rafael Leonidas Trujillo. Trujillo was finally assassinated in May 1961 after more than thirty years of forced disappearances, torture, terrorist methods against opposition and genocide. In 1966, after five years of unrest and military rule Joaquin Balaguer, the last puppet-president of Trujillo, won the presidential election. Balaguer remained in power as president for twelve years, his presidency was filled with human rights abuses and repression of civil liberties. In 1978 the Dominican Revolutionary Party(PRD) rose to power with President Antonio Guzman Fernandez (who is suspected of committing suicide while still in office) and then in 1982 with Salvador Jorge Blanco. 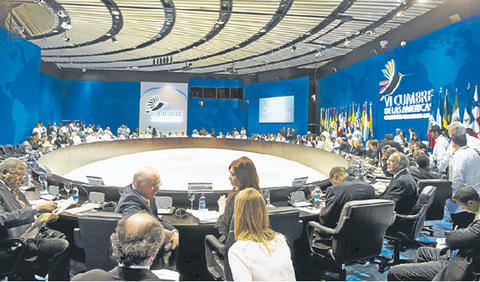 During the rule of the PRD the Dominican Republic saw restoration of human rights and a more liberal style of government. However, Balaguer regained the presidency in 1986 and held the position for the next decade. But Balaguer’s victory in 1994 brought on strong international criticism of fraudulent elections so Balaguer agreed to serve only two years of the four-year term. Mind you in 1994 Balaguer, who had ruled the country for several decades, was now eighty-eight years old and completely blind. Leonel Fernández won the 1996 presidential election as a result, many say, of Balaguer throwing his support behind him. Balaguer supported Fernández once his vice president lost the primaries. Leonel of the Dominican Liberation Party (PLD) focused on economic reform and participation with Western hemispheric affairs. In 2000, PRD candidate Hipólito Mejía was elected president when he beat PLD candidate Danilo Medina. Mejía campaigned on the platforms of education reform, economic development, increased agricultural production and poverty alleviation. He also worked to increase relations with Central America. In 2004, Leonel Fernández of PLD won the presidency again. On May 16th Dominicans, both in the country and abroad, will vote for their new president. Leonel has now been in office for eight consecutive years and is unable to run again. Leonel’s wife, Margarita Cedeño de Fernández, ran for president in the primaries with the slogan ‘Llegó Mamá'(Mom has arrived) but lost. She is now running on PLD heavyweight Danilo Medina’s ticket as vice president. 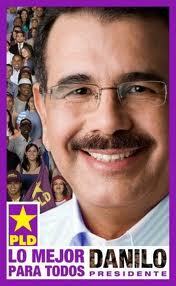 Medina’s campaign slogan is ‘Lo Mejor Para Todos'(The best for everyone). 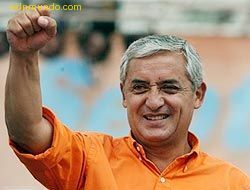 The other main contender for president is PRD candidate Hipólito Mejía who is running under the slogan ‘Llegó Papá'(Dad has arrived). From what I gather from my long political discussions with my friends from the Dominican Republic is PLD is more right-wing while PRD seems to be more left-wing. Supporters of Danilo believe he will continue Leonel’s policies and keep the country developing. Leonel supporters have credited him with advancing the Dominican Republic’s technological and infrastructure development, such as the metro train, and for keeping monetary stability. Danilo supporters also believe he will keep crime under control, during Leonel’s presidency he started enforcing clubs to close at 12am. But PLD’s critics worry that if Danilo wins it will just be another four years of Leonel ruling. Many criticize the multimillion dollar a month budget that Margarita apparently has and the many others on Leonel’s payroll. Supporters of Hipólito believe that he will help small businesses, agriculture, adequate housing and education. The last couple of years in the Dominican Republic there has been a movement demanding 4% of the GDP go to education, a movement which Leonel’s administration has ignored. Hipólito supporters believe that with him the movement has a greater chance of success. His critics, however, say that he will ruin the economy like he did during his last presidential term, where the country found itself in one of the worst economic crises, with three major banks collapsing. Also during Hipólito’s last term drug trade and other illegal activities rose. As for me, I’m not sure which candidate is better, or rather which one is less worse. What I believe is that the Dominican Republic needs is change, true change. Both of these candidates have been the faces of their parties for a long time, they are old news. I would love to see a fresh face rise up in politics in the Dominican Republic. One with fresh ideas and passion for the people, one who the Dominican public could enthusiastically throw their support behind. As far as the high level of corruption, I think it is so expected that unfortunately even if a new candidate rose up who was against it they would be forced into nepotism and paying people off, if not they would most likely get death threats. I believe the real hope for the Dominican Republic lies in its youth. If the Dominican Republic really started focusing on quality education, and if children were taught the importance of social justice, democracy and fair politics the country would have a better chance. Dominican children need to be inspired to change their country, change their circumstances, make opportunities for themselves and taught not to accept corruption as the norm. New life needs to be breathed into the youth in the Dominican Republic in order for the country to progress. While there may not be much hope for change or progress in the Dominican Republic’s current political setting by investing in the youth there could be hope for the future. My apologies for my lack of blogging recently. I meant to write this blog earlier, while still current, but time got away from me. I still feel it is an important blog to write as its subject summarizes the indigenous conditions and issues in Latin America. 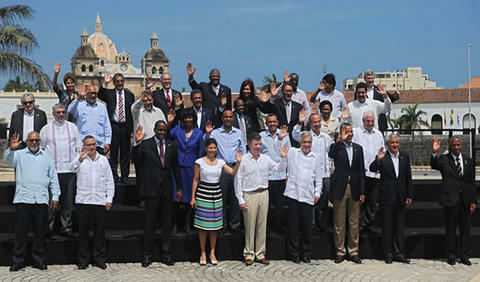 If asked a couple of years ago which Latin American leader I preferred I would have answered Bolivia’s Evo Morales. He was a leftist who seemed more interested in Bolivia’s well-being than his own, a unique aspect for a Latin American leader. He seemed to be a leader of the people, born in a working class farming family he also grew up to be a farmer. 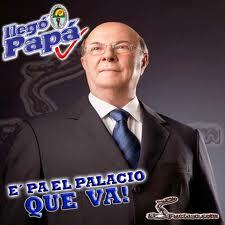 He is also Bolivia’s first indigenous President, surprising considering the great percentage of indigenous in Bolivia. It seemed that he was the ideal leader for Bolivia and it was presidents like him that were needed across Latin America. In 2010 Morales’ popularity faced a road block when there were national protests against a decree to cut government subsidies on gasoline and diesel fuels, increasing their prices. Even Morales’ own supporters took to the streets in protests. At the end of 2010 Morales said that he was keeping his promise of listening to the people and had the decree annulled. However, now once again Morales’ popularity is threatened as a result of the recent TIPNIS dispute. 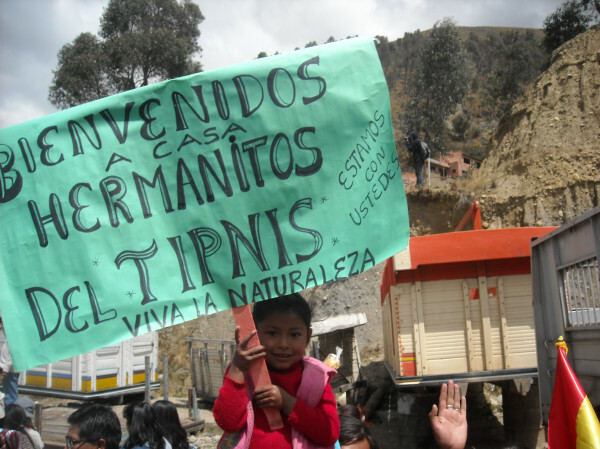 On August 15th, protesters began to march from the city of Trinidad to La Paz, Bolivia’s capital, as part of a campaign against a plan to build a highway through their protected land, Isiboro Secure Indigenous Territory and National Park(TIPNIS). The march was led by the Confederation of Bolivian Indigenous Peoples(CIDOB) and the National Council of Ayllus and Markas of Qullasuyu (CONAMAQ), they were marching in demand of recognition of their right to be consulted over the road construction according to the Bolivian Constitution, ILO 160 and the UN Deceleration on the Rights of Indigenous Peoples. The Bolivian government failed to consult the TIPNIS communities before signing a contract with the Brazilian company Construtora OAS to build the road and before the construction started this year. Morales claims that the road is vital for national development because it would connect agricultural and commercial areas. But the TIPNIS communities protest that a road through their land would threaten their way of life and damage an area of environmental importance. Indigenous marchers have said that they would be in favor of a road, as long as it didn’t go through TIPNIS. “It seems a contradiction that an indigenous president rejects the rights of indigenous peoples, and that a president who talks across the world in defense of Mother Earth is now pushing for the construction of a road that will harm the environment,” said Franklin Pareja, a political scientist from the Universidad Mayor de San Andrés in La Paz. The march consisted of one thousand protesters and was 373 miles in total. Protesters were faced with harsh conditions, and due to the fact that they are Bolivia’s lower class they lacked proper supplies for the march. There was not sufficient water or food and many were without suitable shoes. Six days after the march began President Morales went on television to attempt to question the credibility of the protesters. He accused the indigenous marchers of having links to the United States, Morales has always opposed the United States and its corporations. Morales tried to validate his accusation by showing call logs between the United States embassy and leaders of the march. While the President’s claims sparked debate the Bolivian government has stilled failed to provide any additional evidence linking the march to the United States government. Morales’ defamation of the indigenous protests did not stop there he has also been reported calling them misled and called them tourists. Through out the march the President was constantly disqualifying the marchers on a daily basis. During the march there was a total of eight attempts at dialogue between the march leaders and the government. Because each attempt failed the government accused the protesters of a hidden agenda and of purposely not wanting to find a resolution. However, the protesters argued that at each attempt to establish dialogue the government said there was no alternative and that the road must go through TIPNIS. On September 20th when the protesters reached Yucumo, still 186 miles from their destination, they were blocked by police. The blockade seemed to be a result of the failed dialogues, as the pro-government colonizers who reinforced the blockade insisted that protesters resume dialogue. The blockade prevented donated supplies such as food, water and medicine to reach the protesters. On September 25th the police attacked the group of a thousand protesters whom included children, pregnant women and elderly people. Five hundred officers began to use tear gas, rubber bullets and attack the protesters to disperse them. The police wanted to round them up on trucks to bring them back to TIPNIS. It was reported that during the attack that children in the group cried and mothers tried not to be separated from their children, however apparently several mothers lost their children who ran out of fear. It was reported that a three month-old baby died from tear gas fumes. At least 45 people were treated in the hospital and the Director of the Hospital told reporters that police handcuffed doctors to prevent them from treating the indigenous protesters. The day after the police attacks, Bolivian government minister Sacha Llorenti went on TV to defend the police assault, she later resigned. 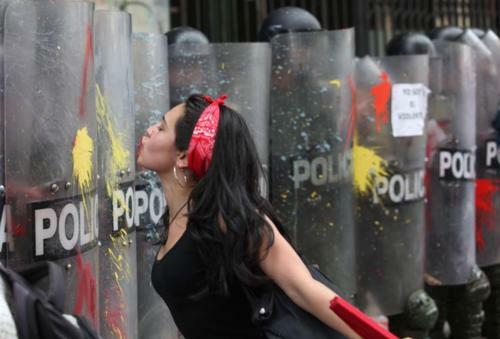 Defense Minister, Cecilia Chacon, resigned in protest saying that Morales’ government was not elected for this. Morales made a statement of apology, but stated that he did not order the attack. 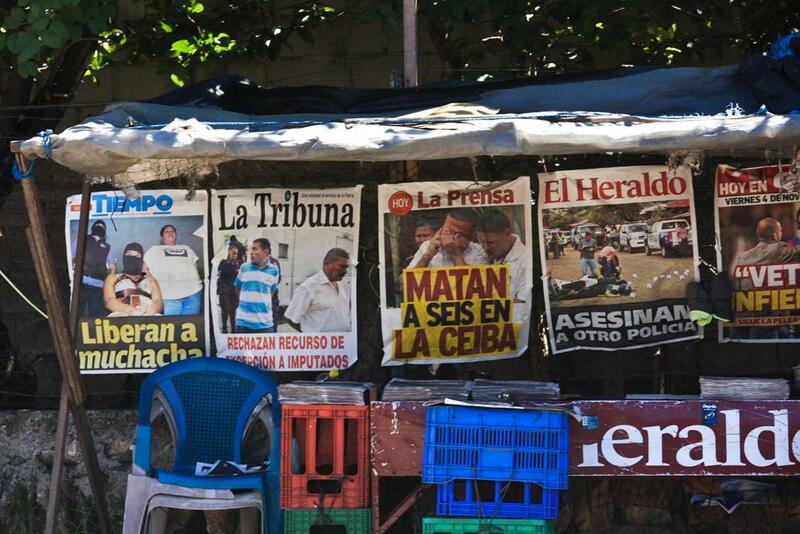 The coverage of the police attack sparked national and international outcry. Demonstrations in support of the protesters popped up across Bolivia, people across the country demanded justice. 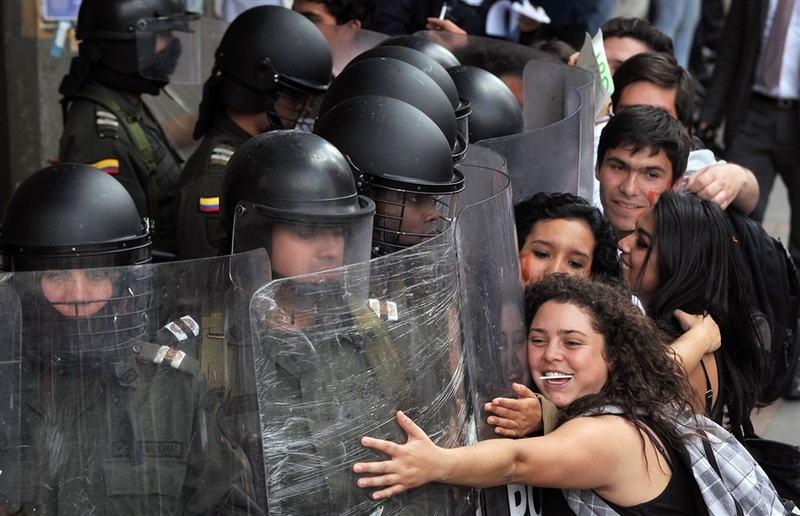 International Human Rights groups spoke out against the actions of Bolivia’s police. In a show of solidarity, the residents of Rurrenabaque forced police to release hundreds of marchers who had been held in jails and on trucks. Morales suspended the construction of the highway promising a local referendum on whether it should continue. In the beginning of October protesters regrouped and started to march towards La Paz again, proving that they were determined to stop the highway through TIPNIS. As the protesters neared La Paz they had to pass through the Andean highlands where they were faced with high altitudes, a difficult situation for the indigenous native to lowlands. On October 19th after two months of marching through Bolivia the protesters finally made it to their destination, La Paz, to face the government with their demands. The marchers were greeted in La Paz by thousands of supporters who welcomed them with food, water, flowers, Bolivian flags and signs of encouragement. As they made their way to the capital’s center supporters yelled “We are with you,” and “You are not alone.” The protesters finally made it to Plaza Murillo, in front of the Presidential Palace in anticipation of a meeting with the President. Many of the children marchers were taken to hospitals in La Paz for pneumonia after the trek through the Andean highlands. The marchers did not meet immediately with Morales, they waited outside the Presidential Palace that was guarded by police who set up barricades. Finally, on October 21st after days of waiting, Evo Morales announced that the government would approve a law stopping the road through TIPNIS. Protesters continued to camp in the main square until the law was signed on October 24th. This is an unquestionable victory for the Bolivian indigenous community, a great example of the power and unity of indigenous communities. It shows the power of social movements and the effectiveness of protests. It is a stirring example of a civil society movement, the power of the community to have their voice heard and taken seriously. However, the fight is not over. Leaders of the march are still seeking justice for the police brutality on September 25th. And you have to stop and wonder how protected TIPNIS really is, even after all of this. This happened even though the indigenous communities had international law on their side. Even with an indigenous President in power their land was still threatened. The world will be watching to see if President Morales keeps his promise to the TIPNIS communities. This victory is one step of progress in a long struggle for indigenous communities.